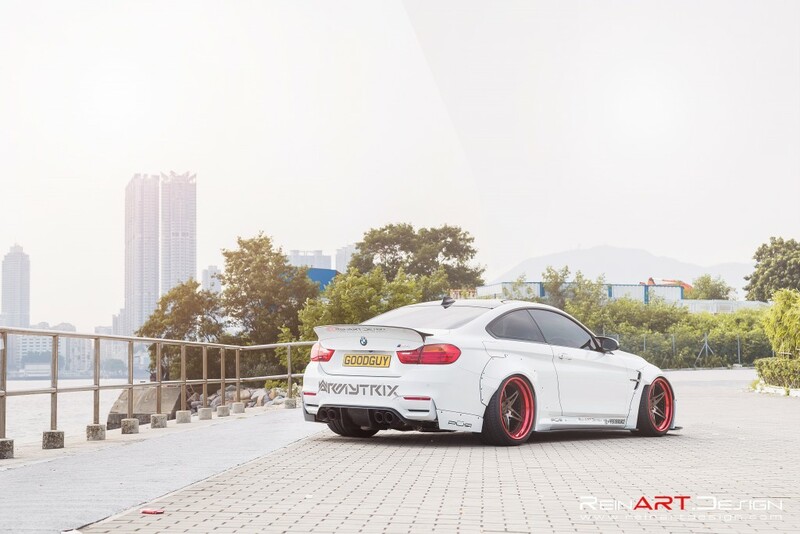 After building the very first Liberty Walk GTR in Hong Kong, we received great feedback over its aggressive styling and street presence. 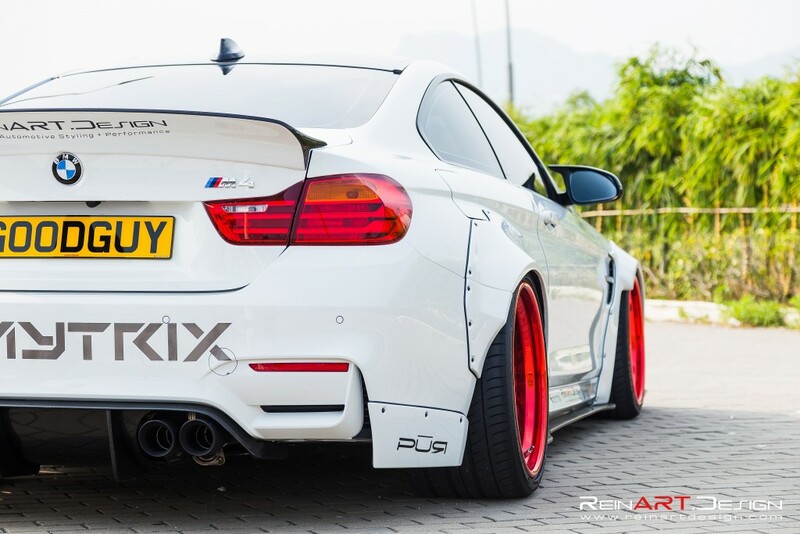 Wherever it went, people would turn their heads and look in awe as they couldn’t believe how wide and menacing this car was. 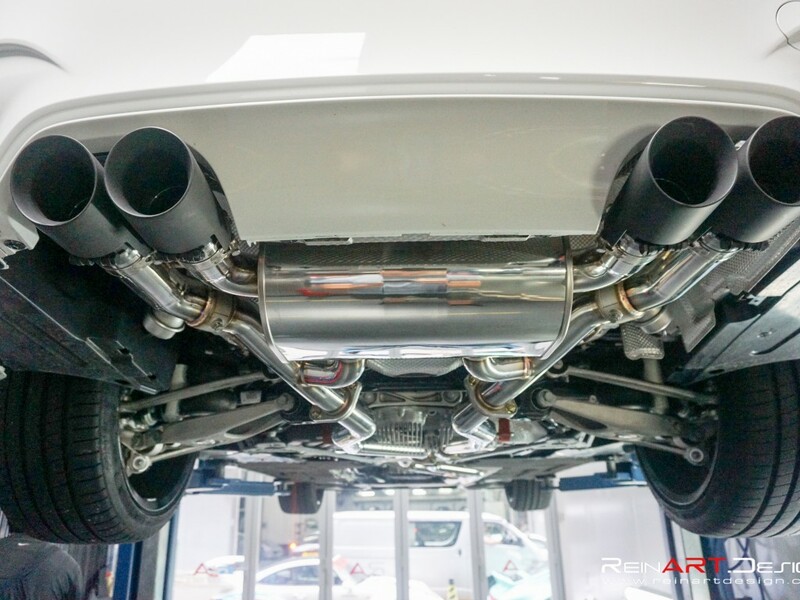 On the very first day we revealed the Liberty Walk GTR, we received the order from one of our loyal customers to build the next Liberty Walk car in Hong Kong. 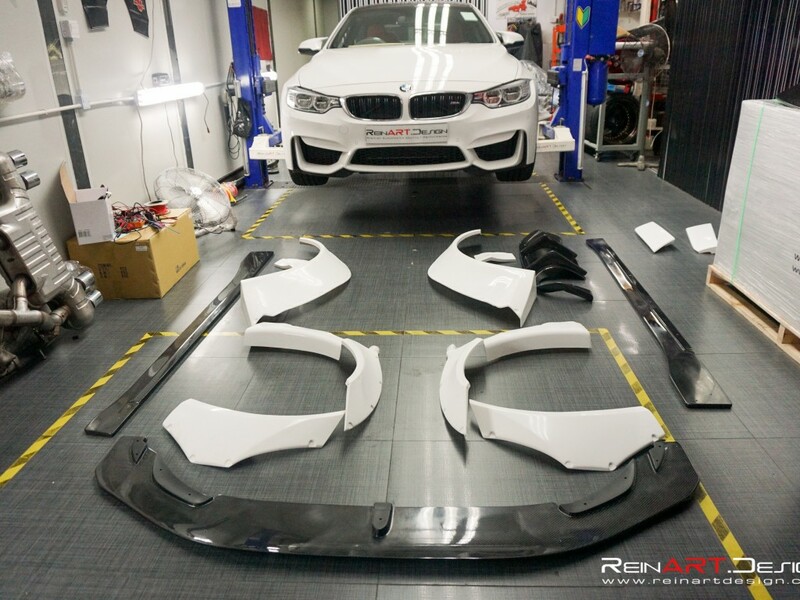 At that time, the BMW M4 kit had just finished pre-production and after one look, our customer had to have it. 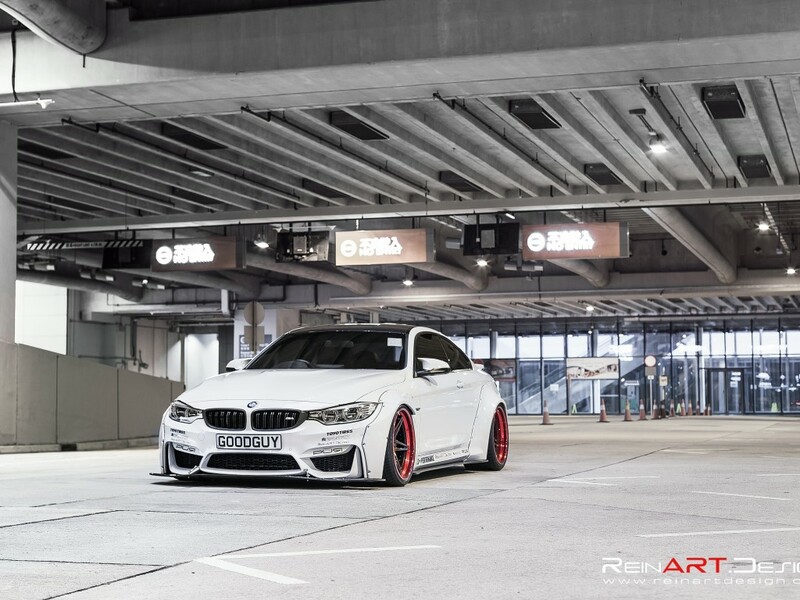 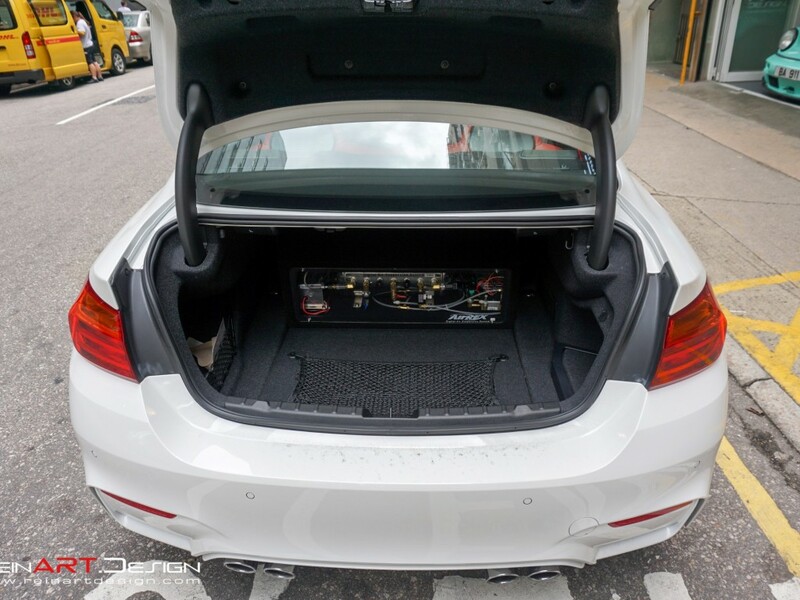 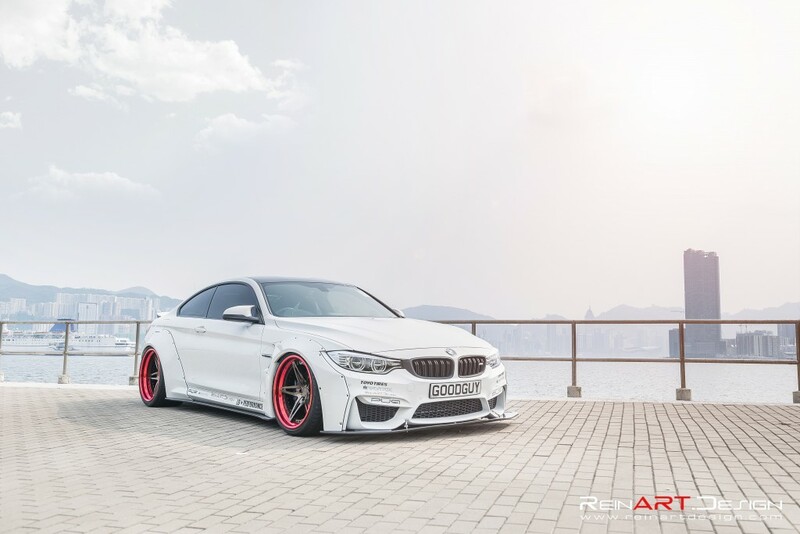 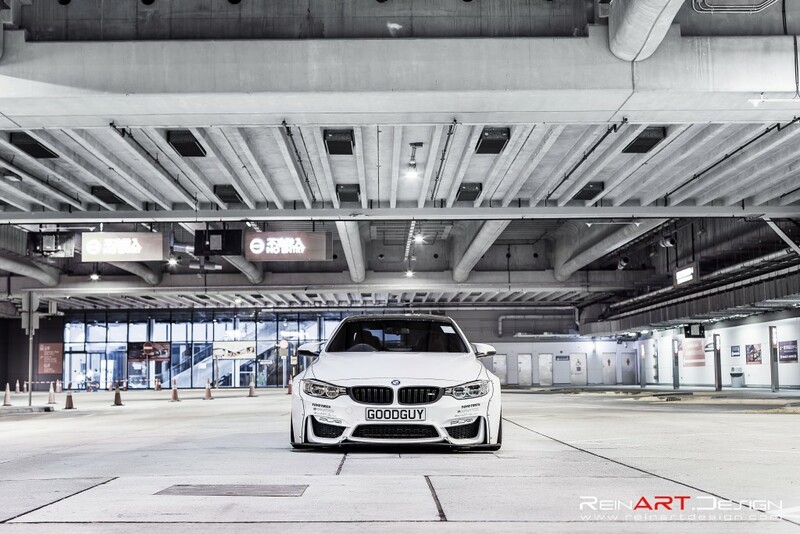 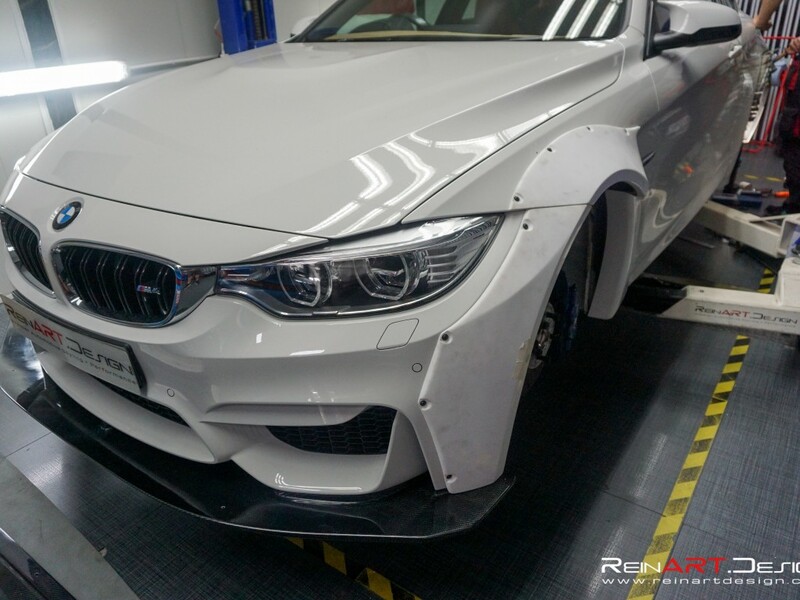 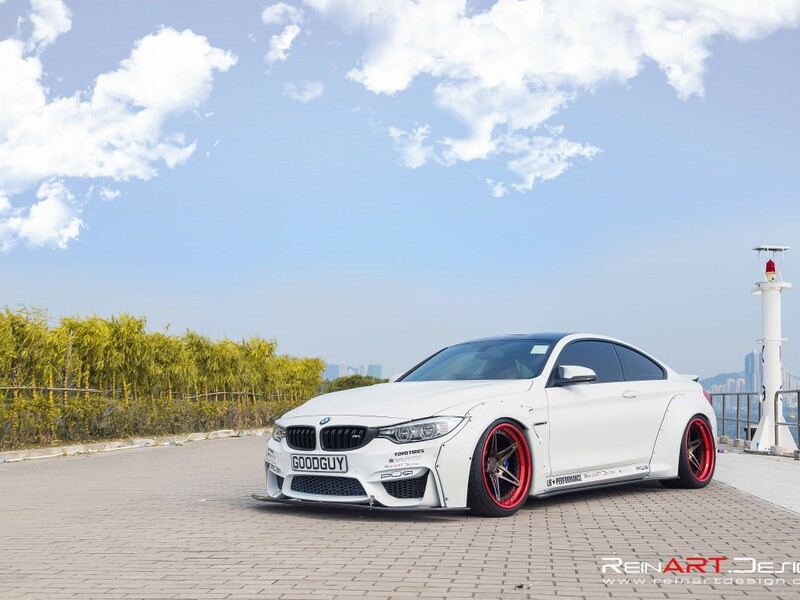 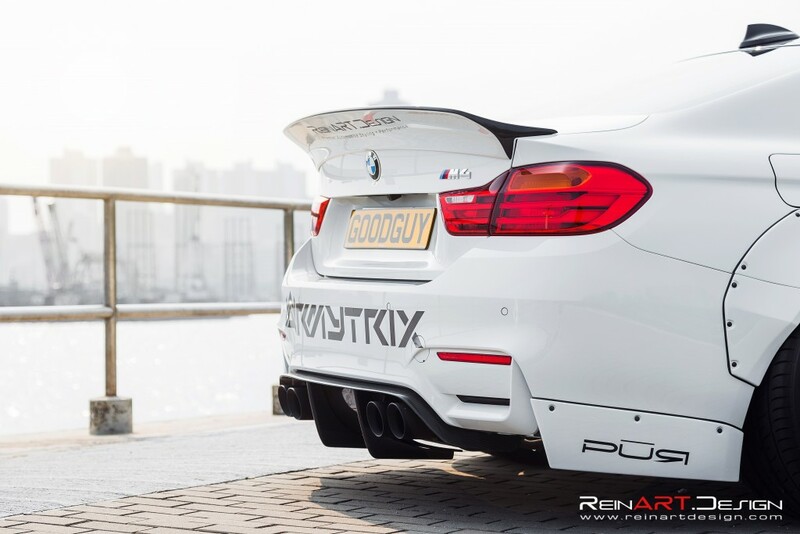 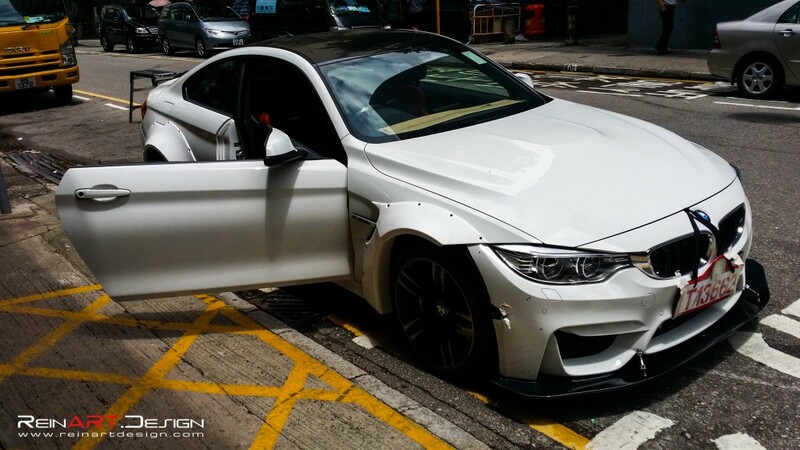 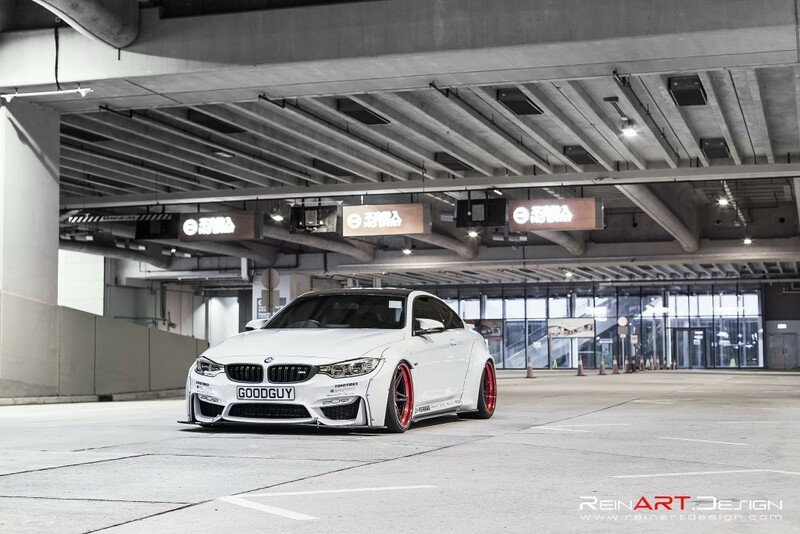 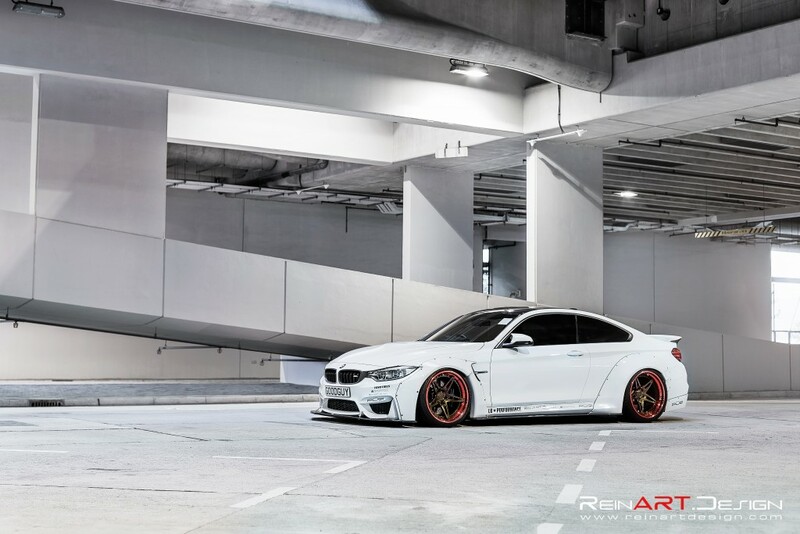 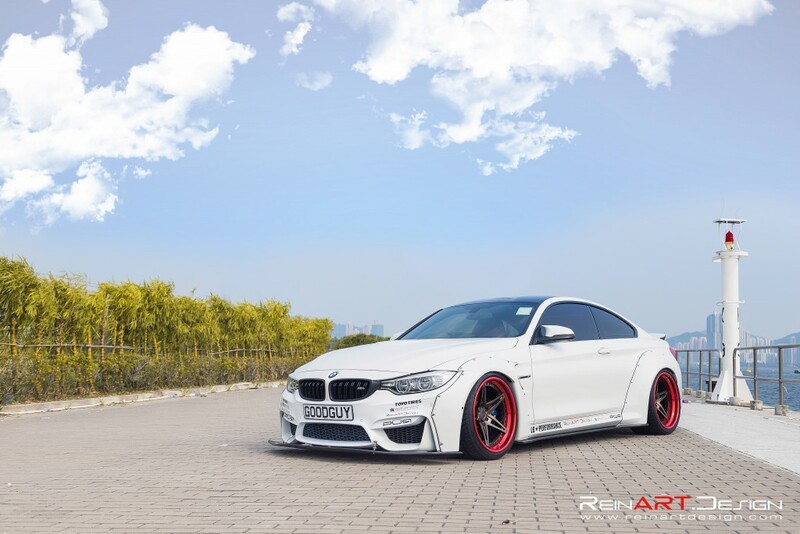 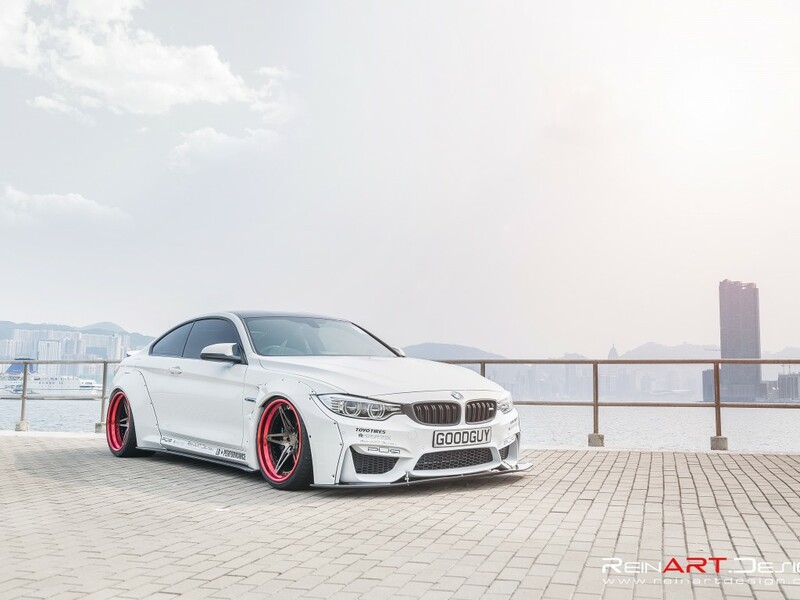 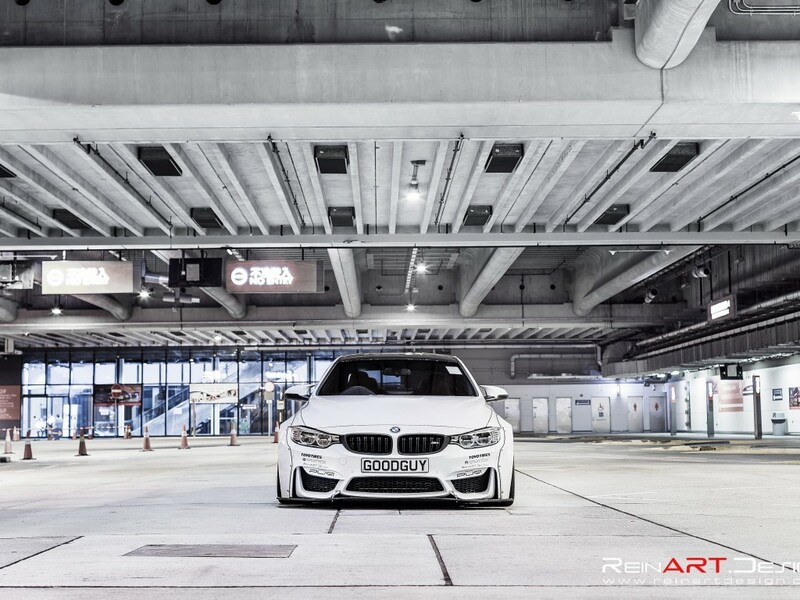 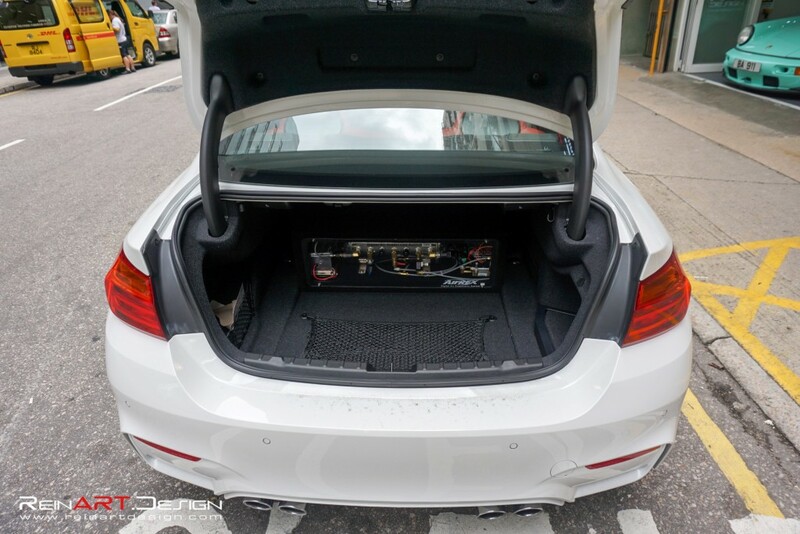 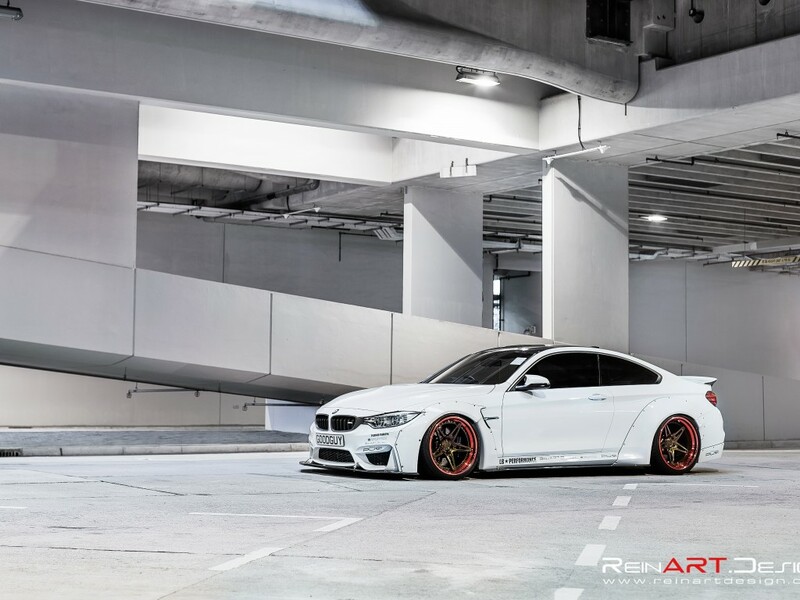 Showing his determination to build the hottest BMW M4 in all of Hong Kong, the customer placed the order for the Liberty Walk body kit even before he had bought the car. 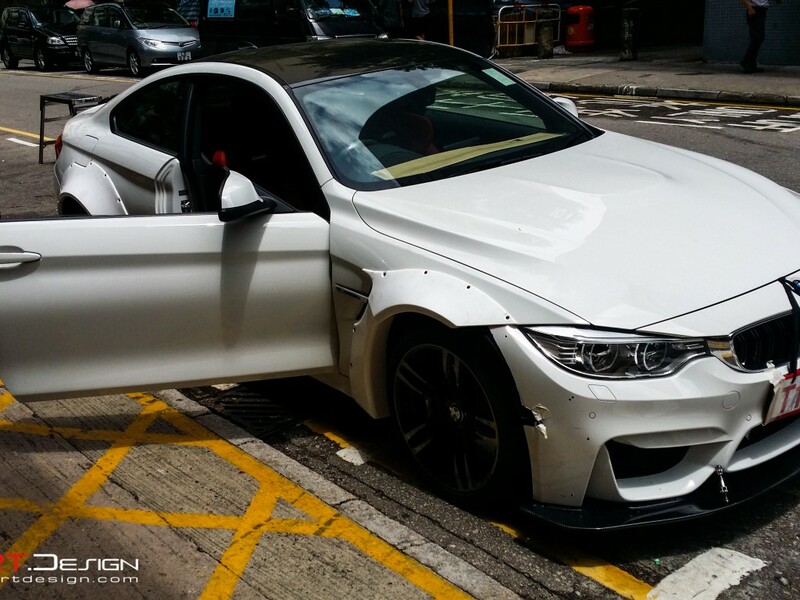 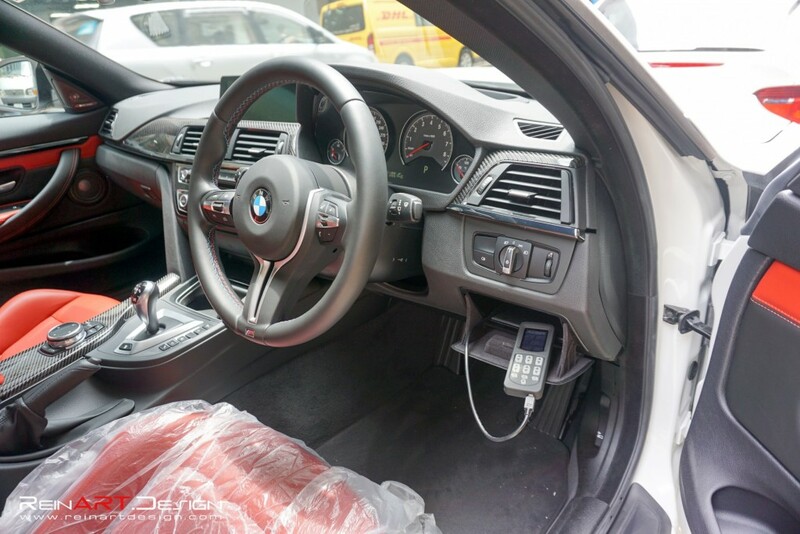 Luckily for us, we had found a almost new fully loaded Alpine White 2014 BMW M4 with a beautiful red interior. 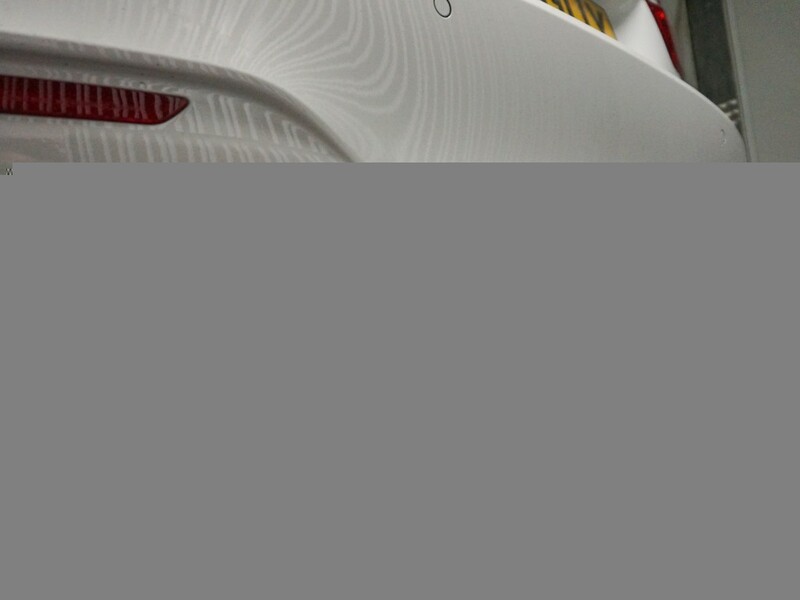 Exactly the color that our customer was looking for. 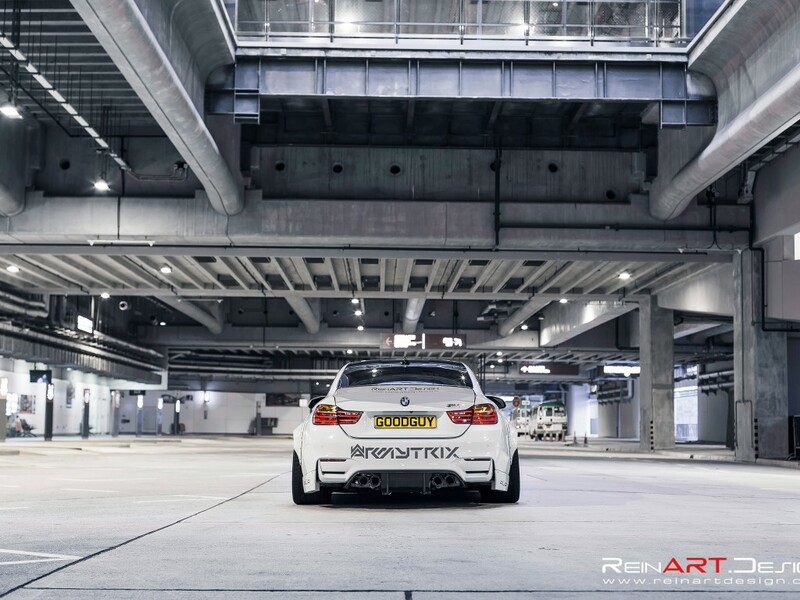 The first parts that went in to this car was the suspension system from Airrex Digital Air Suspensions. 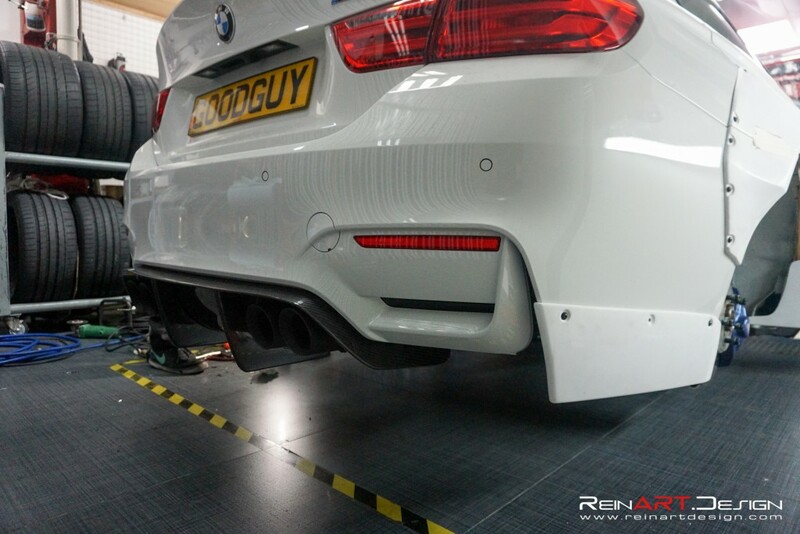 From our past experience with these widebody cars, we knew they had to sit low to the ground to achieve the proper “look”. 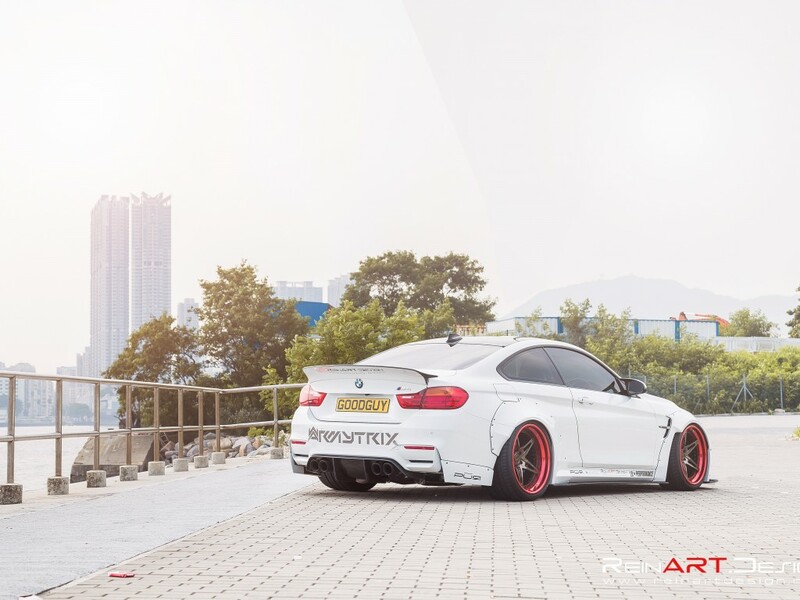 Airrex has been one of our long time partners and we wholeheartedly trust the quality of their suspension systems in all of our project car builds. 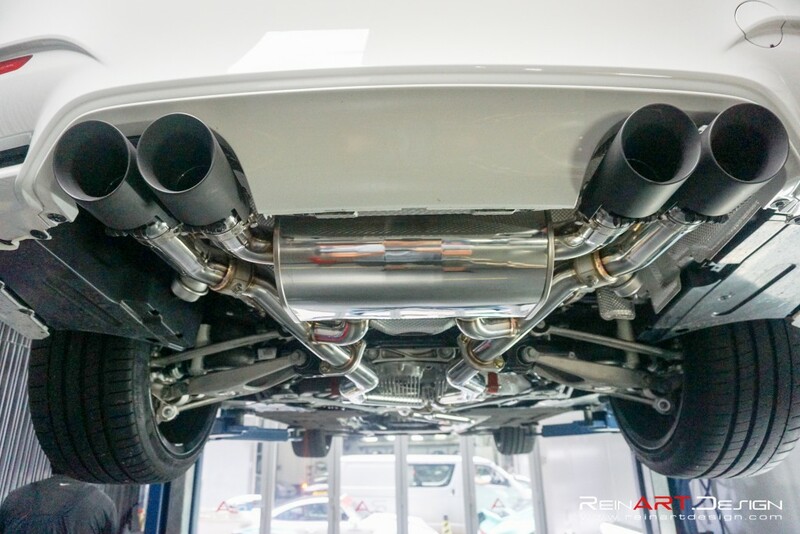 Like all of our other Airrex air suspension installs, this one with the pre-assembled management system was a cinch. 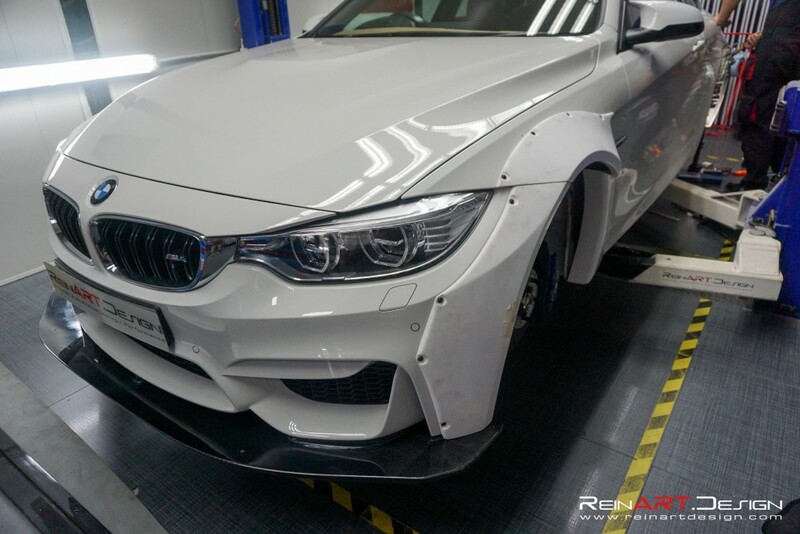 The car could now be lowered down to the ground and raised higher than stock height when needed. 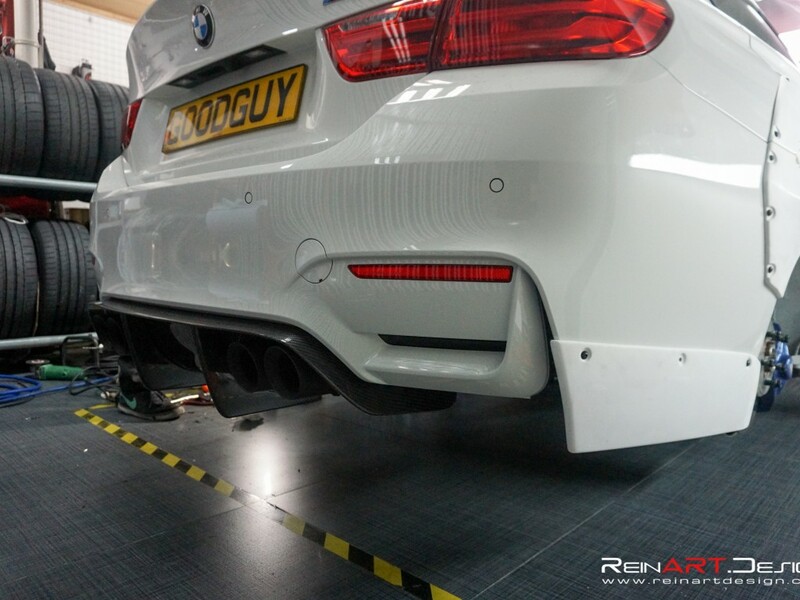 Next task we set out to do was to give this new BMW Inline-6 Turbo motor a little more bark. 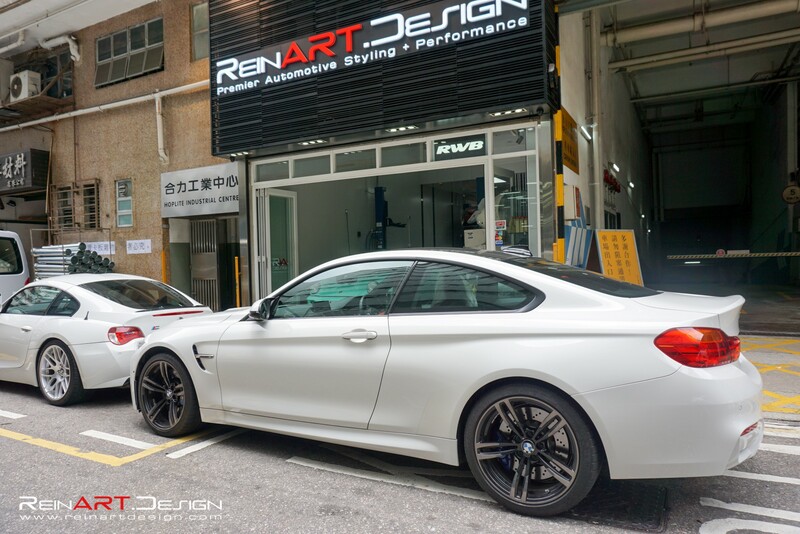 Since its launch, there has been a general distaste towards the sound that this new M3/M4 makes, especially when compared to its sweet sounding V8 E9x M3 predecessor. 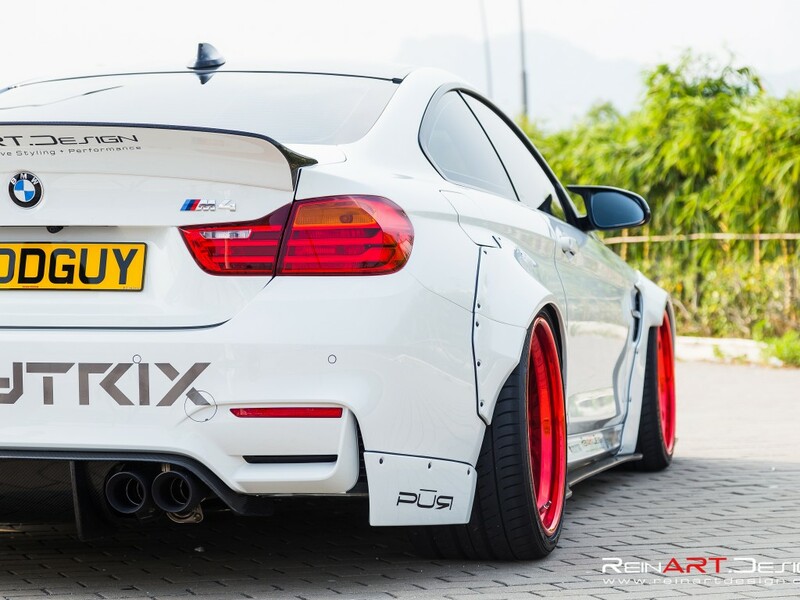 To help alleviate this problem, we partnered with our friends at ArmytrixÂ to provide this car with their newly released valvetronic system for the F8x BMW M3/M4. 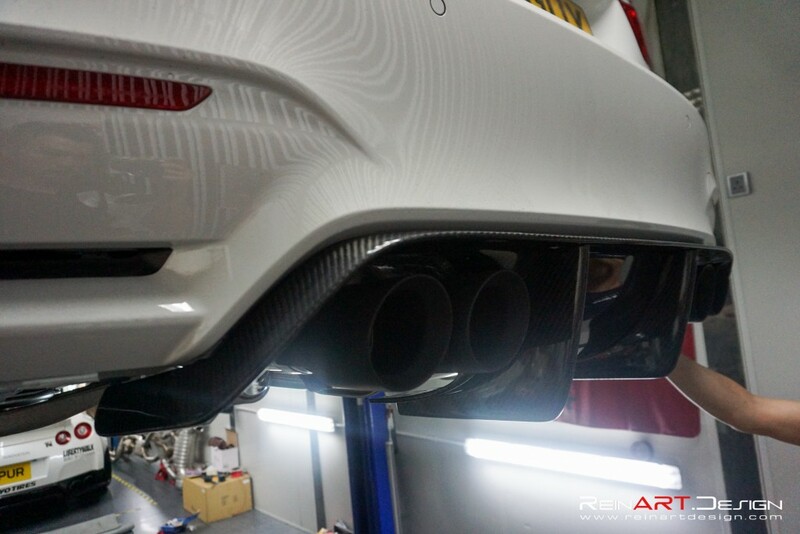 The fit and finish of the Armytrix exhausts was top notch and the installation couldn’t have been any easier. 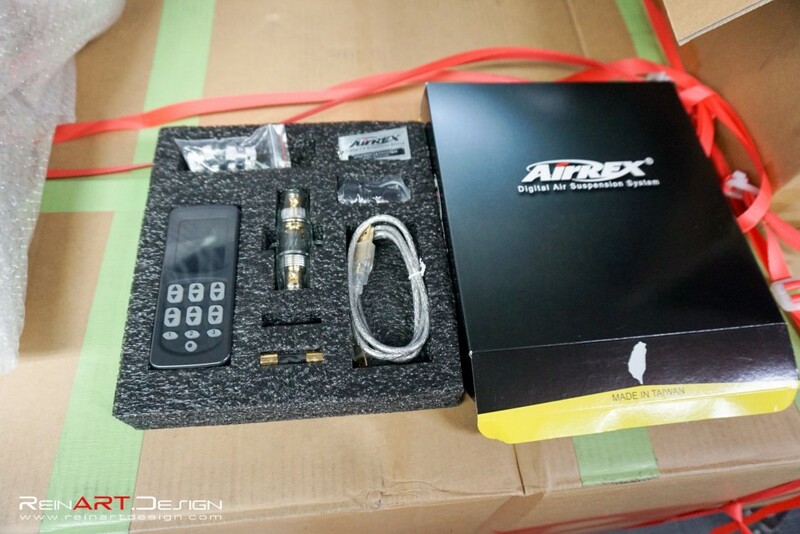 All new Armytrix exhausts come with a OBD2 plug control box to adjust the exhaust valves. 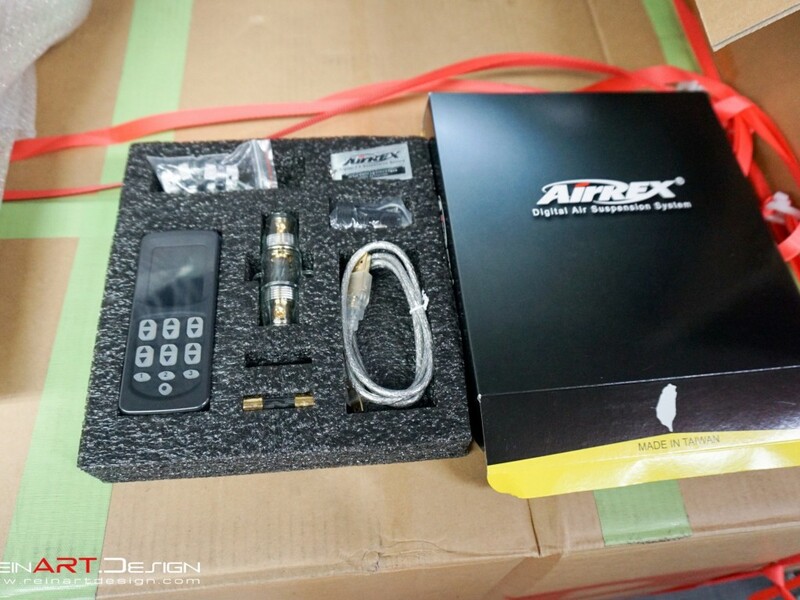 In addition to that, this control box can be operatedÂ using your mobile phone via bluetooth. 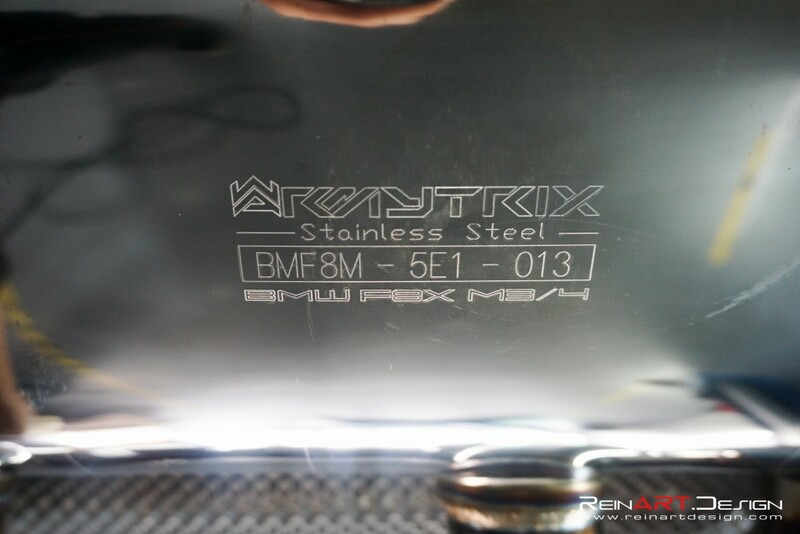 With the Armytrix app, you can read vital car information (like boost pressure, intake temperature, battery voltage, etc.) 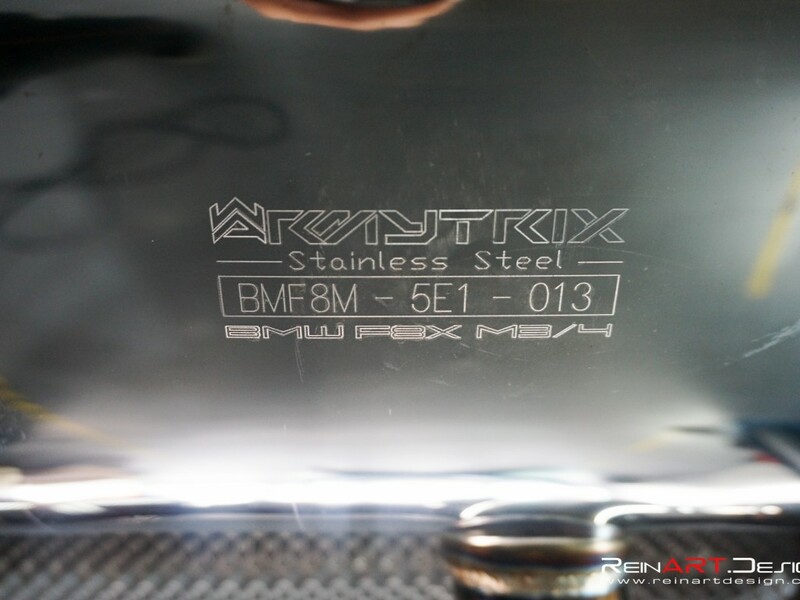 and possible error codes as well. 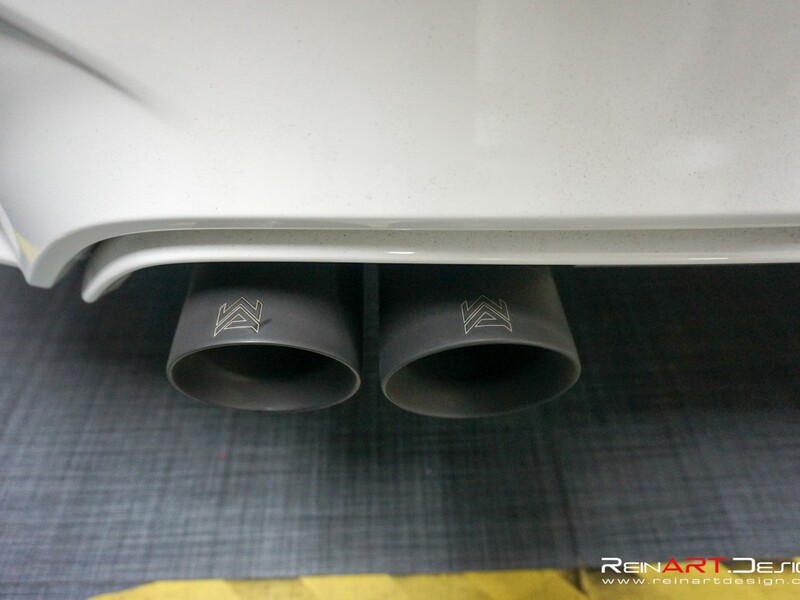 Upon first start, we couldn’t believe how big of a difference this exhaust made. 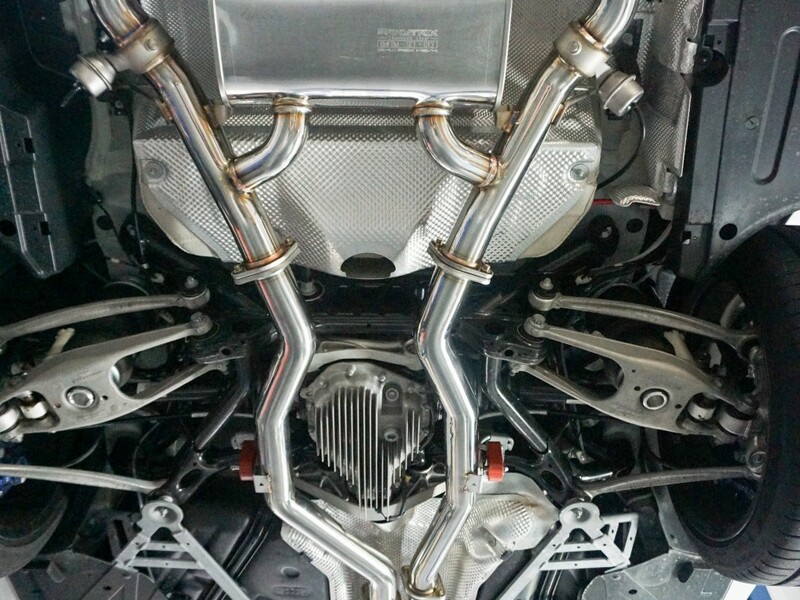 With the valves open, it’s essentially a straight pipe all the way back from the turbo. 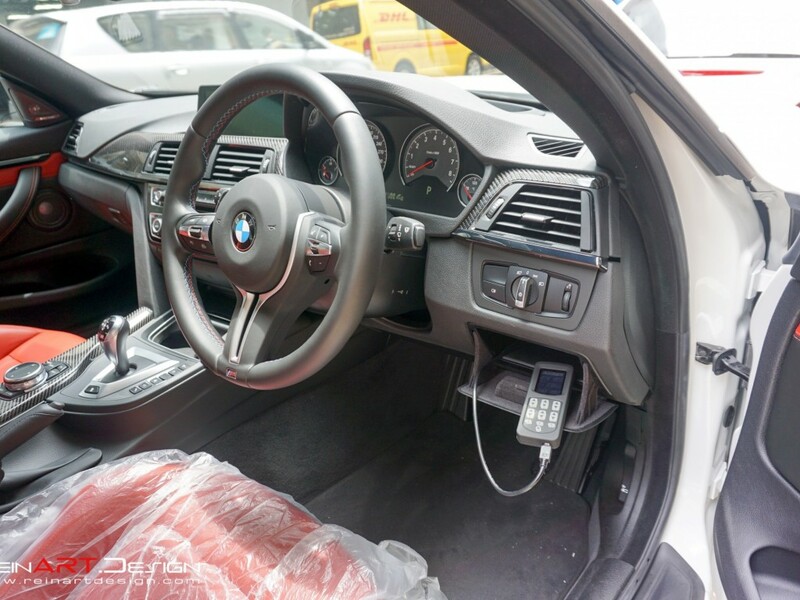 On cold start, we could feel the vibrations of the car through our second story office. 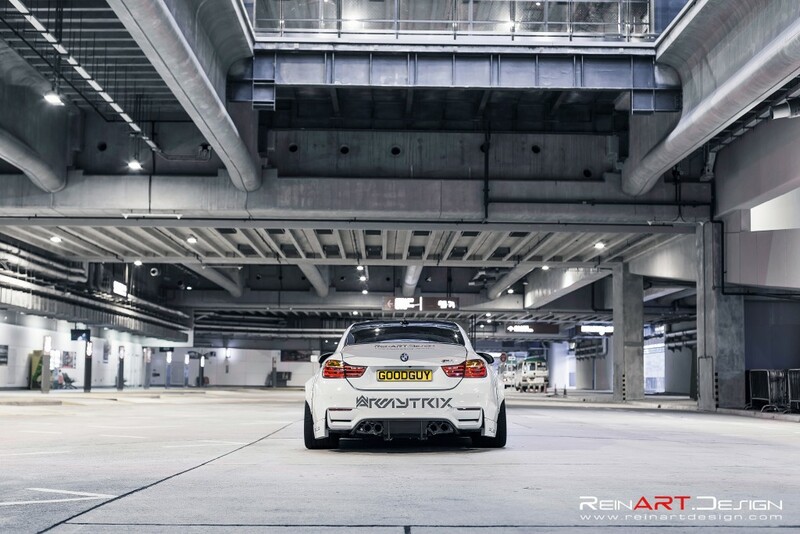 The amazing thing is with the valves closed, the Armytrix system is just as quiet as the stock exhaust. 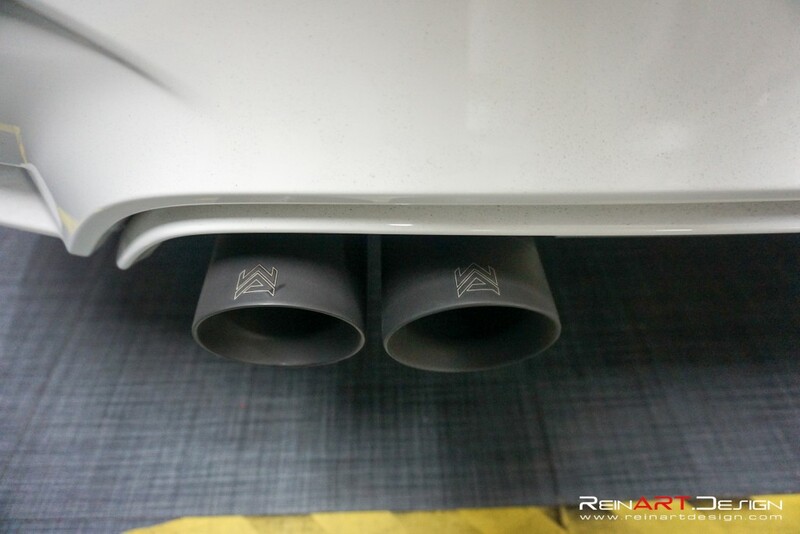 In addition, we were able to prove that this exhaust wasn’t only for sound. 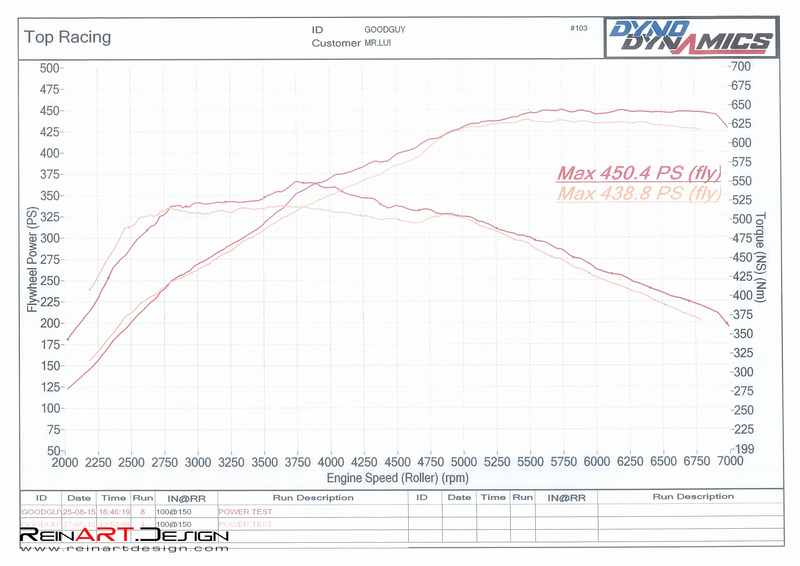 Prior to installing any of the mods we had dyno’d the car to see the progression of power increase throughout the build. 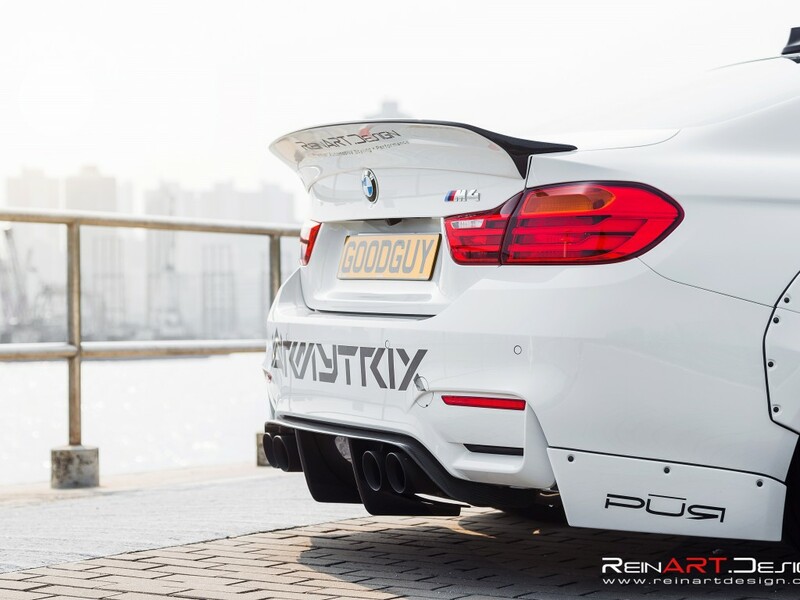 As you can see below we can see this Armytrix system makes extra power too! 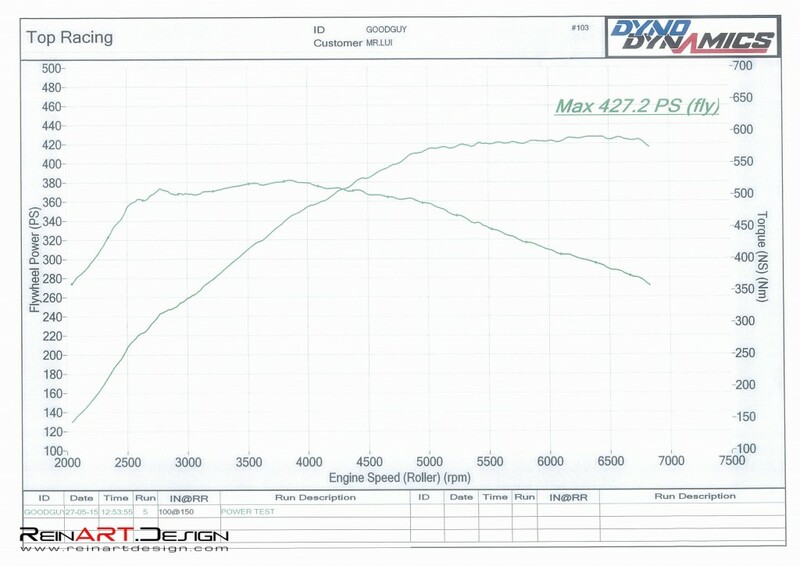 With the stock exhaust, we dyno’d the car at 427.2HP. 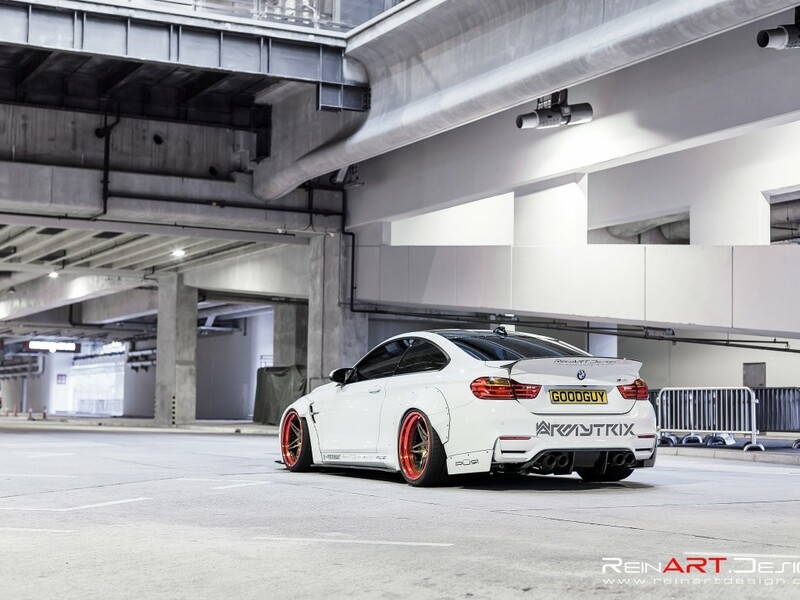 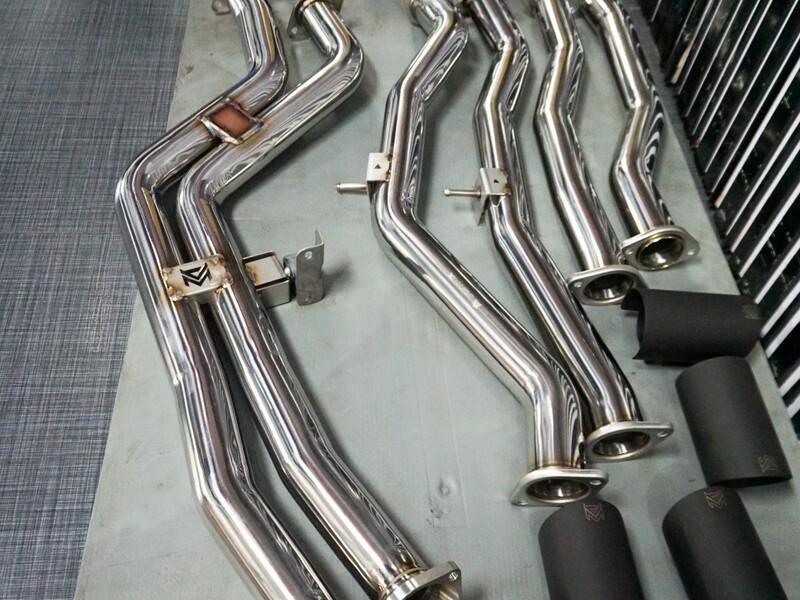 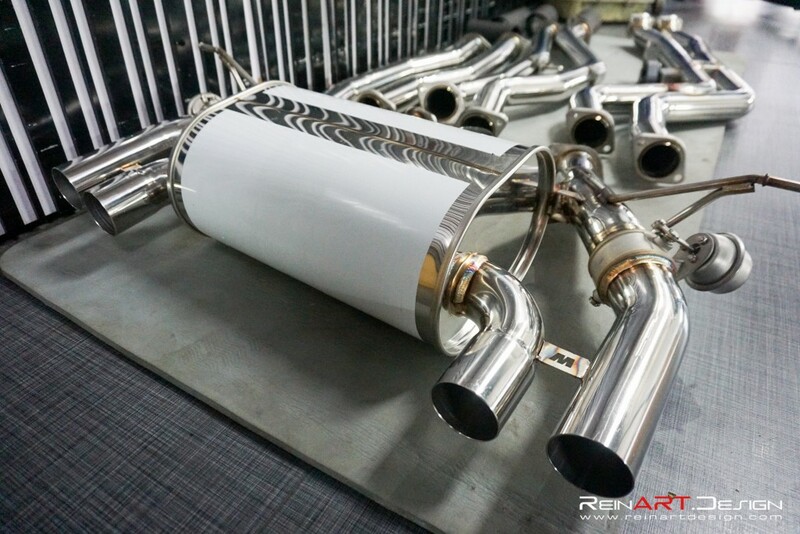 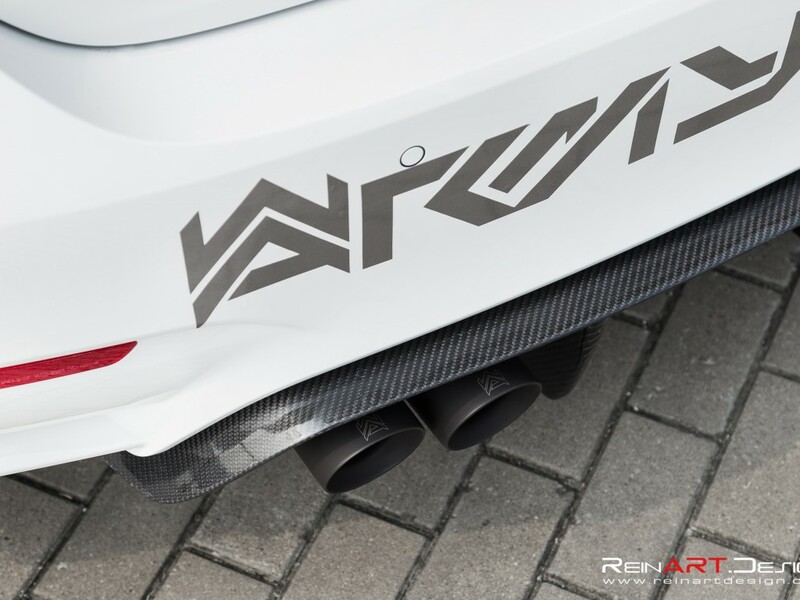 With the Armytrix catback system (stock downpipes), it made 450.4HP. 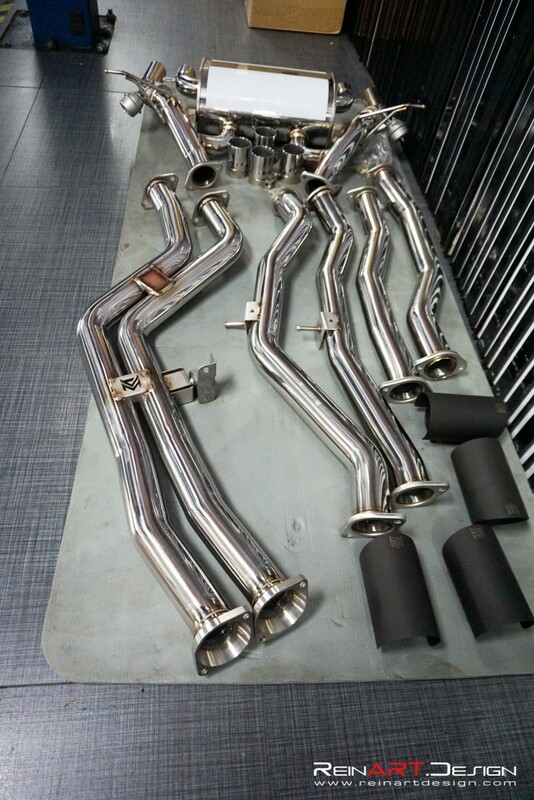 23HP gained is not too shabby considering the restrictive stock downpipe and cats are still in there. 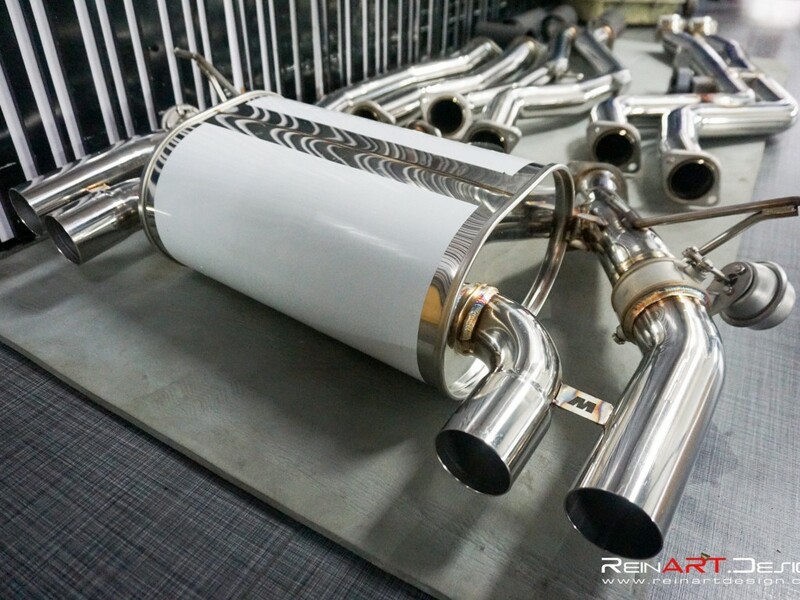 We will be installing Armytrix’s catless downpipe at a later date to see how much more power it can make. 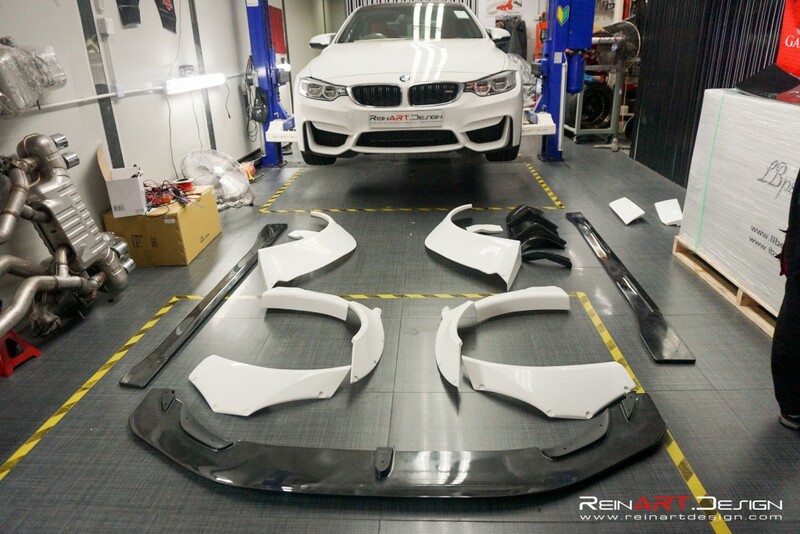 Shortly after, our Liberty Walk kit had arrived and we were finally ready to put this almost new (less than 3000KM) BMW M4 under the knife. 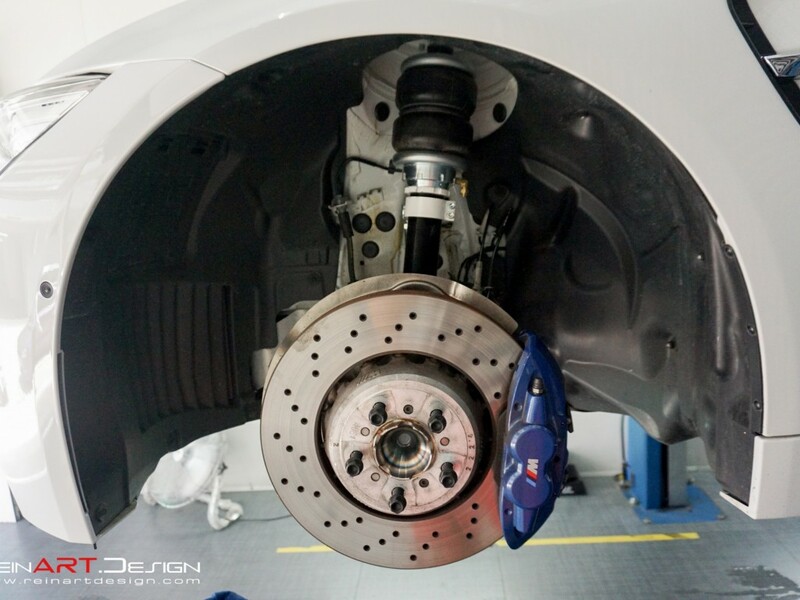 It was painful to watch but an absolutely necessary step to fit the meaty wheels we had planned for this car. 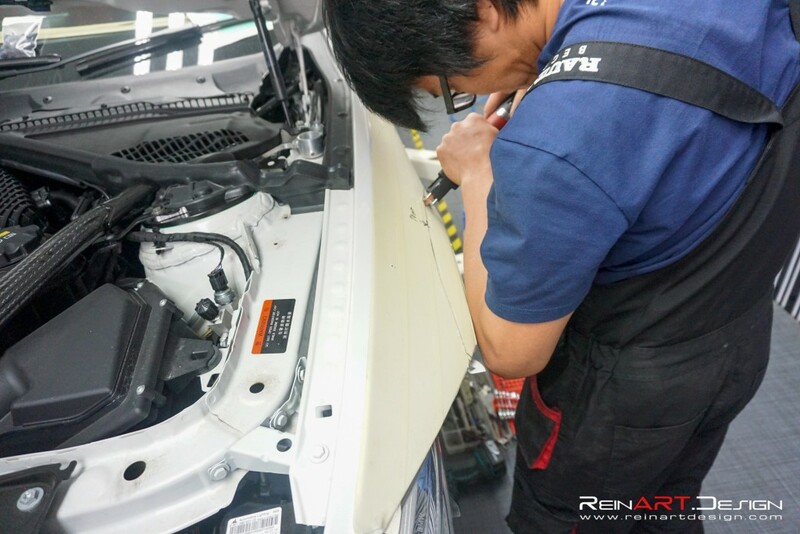 After taping off and marking where we had to make the precision cut, our technician began cutting through the sheet metal. 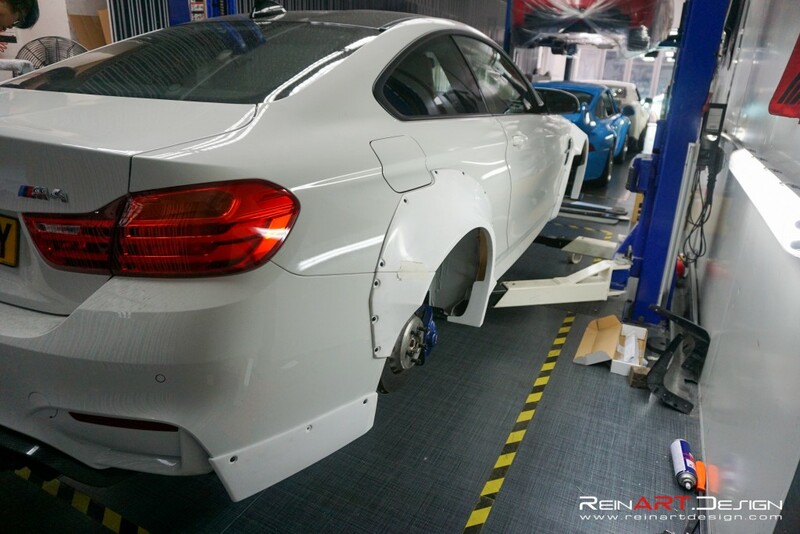 The front fenders were a relatively simple job, however as the rear fender on the M4 are double walled, we had to fold the inner fender over the outer fender and seal it in order to prevent any rust or corrosion. 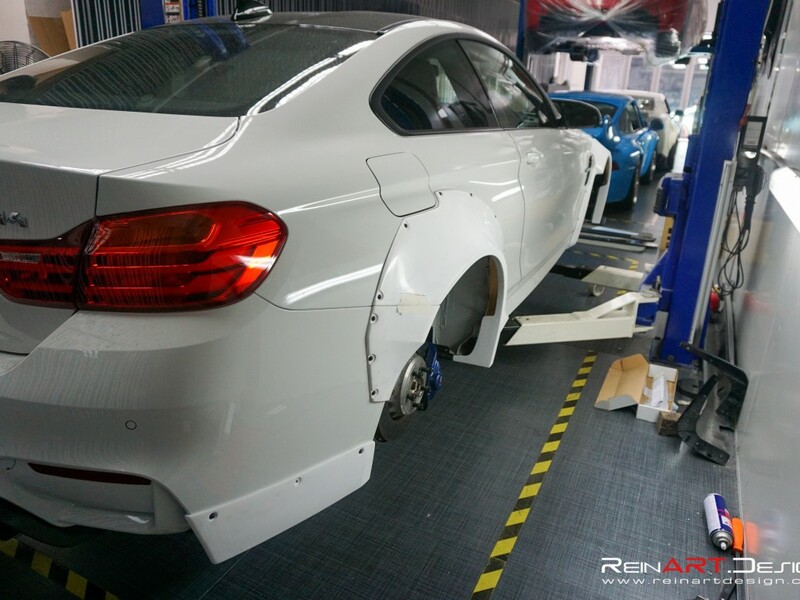 Shortly after we received the car back from paint, we were ready to install theÂ piÃ¨ce de rÃ©sistance. 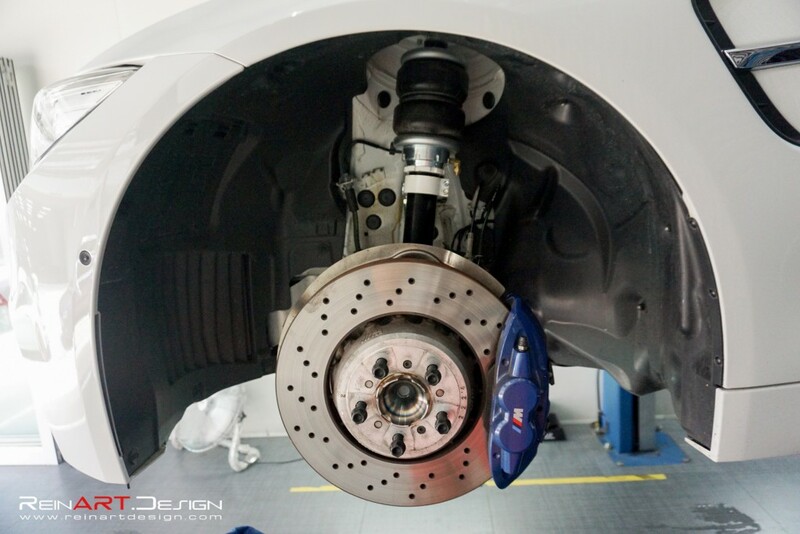 The one thing that truly makes any car is the wheels. 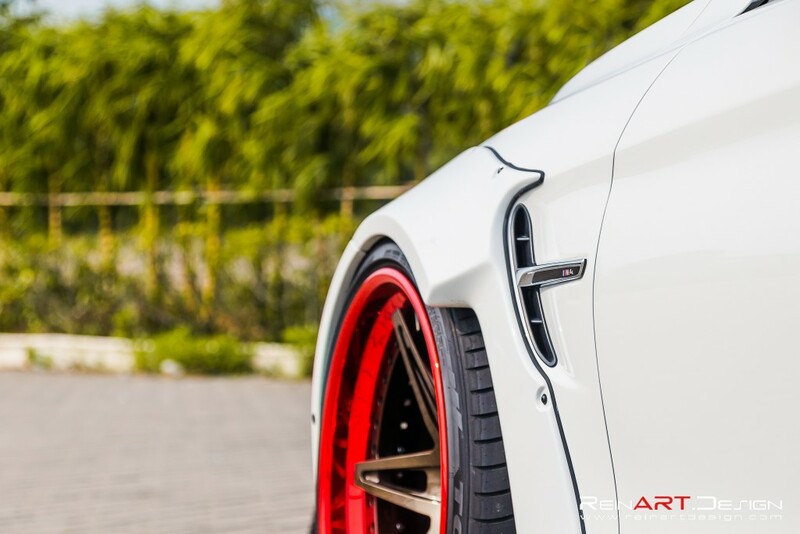 For this, we commissioned PUR Wheels to build us a custom forged set of their 20″ LG20 wheels with a matte bronze chrome face and candy apple red gloss step lip. 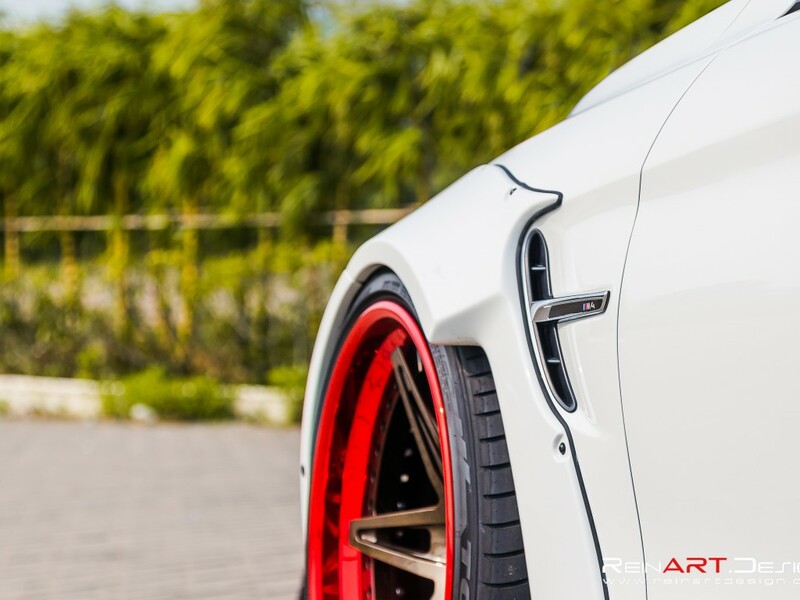 The color combination for the wheels was the one specific request our client had for this project and in our opinion, it worked out pretty darn well.